AP TET 2018 Online Applications close on May 24, APTET Exam Schedule: Andhra Pradesh Teacher Eligibility Test, APTET 2018 online applications would close on January 22, 2018. Candidates interested in applying for the examination can fill the online application forms on the official website aptet.apcfss.in. It is important to note that candidates first need to pay the fee before filling the online application form. The last date to pay the fee, however, is set for January 22, 2018. Also, various sources have confirmed that the examination dates for APTET 2018 have been revised. As per the new notification, the APTET 2018 would be conducted from February 5 instead of January 17. Officials have confirmed that the dates have been revised keeping in mind the requests received by the candidates planning to write the examination. As per the earlier notification, the examinations were due to start from June 10, 2018, and end by June 22, 2018. The examination was to be conducted across multiple sessions in various districts in Andhra Pradesh. The new notices now confirm that the examination would be conducted from Jun 10 to 22, 2018. The Admit Cards for APTET 2018 is expected to release by June 5, 2018. The candidates interested in applying are requested to fill the online application form at the earliest. Also, kindly note that for Teacher Recruitment, TET eligibility is mandatory. However, Teacher Recruitment would be done on the basis of the Teacher Recruitment Test or TRT. TET scores would be given a 20 percent weight in Teacher recruitment test. The education minister of Andhra Pradesh, G.Srinivasa Rao has officially announced today the postponement of APTET 2018 exam. He further announced that even though APTET exam is postponed, there is no effect on the APDSC 2018. The schedule for the exam has been postponed for 3 weeks and the new date has been announced. 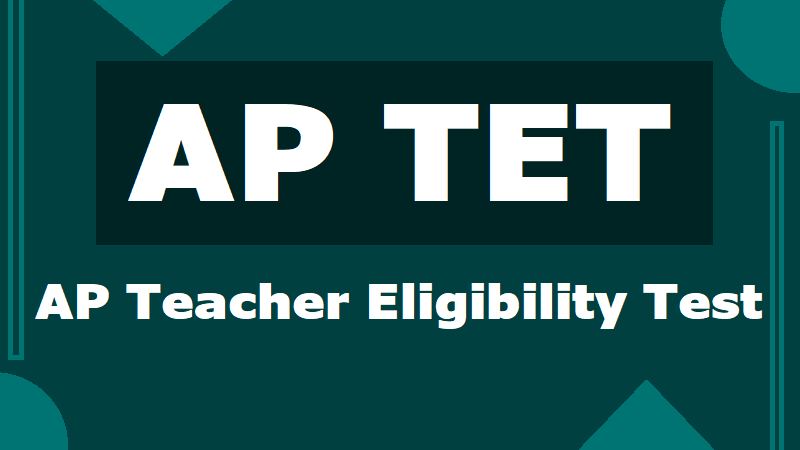 The schedule for the Andhra Pradesh Teacher Eligibility Test (APTET - , 2018) Exam dates. The exams would be now held from Jun 10 to 22, 2018. There will be two sessions - 9.30 am to 12 noon and 2.30 pm to 5 pm. The payment of fee last date is May 23 and online submission of application through official website cse.ap.gov.in could be done till May 24. Th online mock test will be held from June 4 and the hall tickets will be available for downloaded from June 5. The exams will be held from Jun 10 to 22, 2018. The tentative answer key will be published on June 26. APTET results will be declared on June 28. The candidates who intend to be teachers for classes I to V have to appear for Paper-I and the candidates who wish to teach classes VI to VIII have to appear for Paper-II.